The internet has already started to transform our democracy. For instance, websites like change.org, which claims to be the world's largest petition platform, allow members of the general public to mount campaigns, generate - or express - support for particular proposals, and initiate political debate. Some years ago I signed a petition on change.org which asked the Health Secretary to lower the screening age for bowel cancer to 50 - I had just lost my husband (aged 54) to that devastating disease. Since then I have keenly observed the progression of this issue through the labyrinthine passages of the UK parliamentary system, coming to respect the persistence and tenacity of Lauren Backler, who initiated the petition following the death of her mother to bowel cancer aged just 55. This is a good example of an initiative for the wider public good that was born of individual pain and suffering, and facilitated by this type of website. Yet there are, of course, problems with online petitioning platforms. Issues are rarely clear cut and open to simple solutions. Even in the case of lowering the screening age for bowel cancer, it is necessary to weigh up the potential benefits, in lives saved, against the costs. These include not just the financial costs of screening more people and providing treatment to those who are diagnosed, but also the cost of the anxiety generated by screening and by the higher number of diagnoses it inevitably brings. Moreover, given the open nature of the website, not all change.org petitions are necessarily wise, properly informed, or in the wider public interest. Finally, one might wonder about the business model of change.org itself which is, after all, a for-profit company. 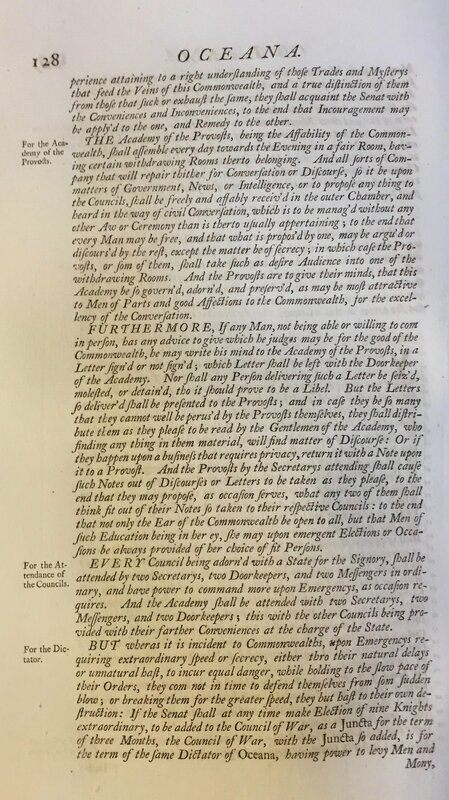 'A True Copy of the Petition of the Gentle-women, & Trades-men wives in, and about the City of London', reprinted from the LSE Digital Library, class mark R(SR) 11/L23, under a Creative Commons License. Petitions were also a common feature of seventeenth-century political life, especially during the period of the English Revolution. Like those of today, they varied greatly in focus and scope. Some were drawn up by an individual or small group of people and focused on a very specific case. James Harrington's sisters petitioned the authorities on his behalf in February 1662 asking that they and their tenants be allowed access to their brother who was then being held in the Tower of London. Petitions could also be drawn up on behalf of particular interest groups. The 'Petition of the Gentle-women, & Trades-men wives in, and about the City of London', which was presented to the Commons on 4 February 1642, for example, expressed the fears of these London-based women about the presence of 'popish lords' in Parliament and the continuing performance of the Catholic mass at court. These women proved particularly adept at exploiting their 'frail condition' and their position as wives and mothers as grounds for their intervention in politics, justifying their call for action against the Irish Rebellion with reference to their fear that they would be raped or their children massacred. Some also used petitions to advance their own political ideas. Harrington and his friends produced The Humble Petition of Divers Well Affected Persons, which was delivered to Parliament on 6 July 1659, and which called for a new constitution to be established modelled on Harrington's ideas. The Levellers, too, made much use of petitioning, setting up networks to facilitate the collection of signatures and subscriptions, and submitting at least one petition that boasted almost ten thousand names. 'The Humble Petition of Divers Well Affected Persons', The Oceana and Other Works of James Harrington, ed. John Toland (London, 1737). Private copy. When Harrington drafted his model constitution in The Commonwealth of Oceana he decided that a more formal mechanism for popular initiative would be beneficial, going beyond petitioning. Not only did he propose the establishment of a Council of Prytans 'to whom it was lawful for any man to offer anything in order to the fabric of the commonwealth' before the constitution was finalised (The Oceana and Other Works of James Harrington, London, 1737, p. 79), he also instituted within his model a body known as the Academy of Provosts which was to operate as a regular and permanent means by which members of the public could make legislative proposals. 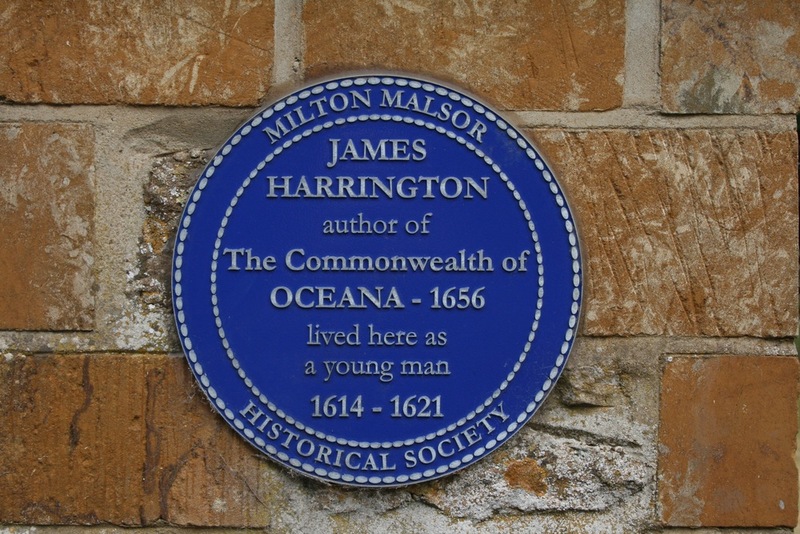 Extract from 'The Commonwealth of Oceana', The Oceana and Other Works of James Harrington. Private copy. One cannot really imagine an 'Academy of Provosts' being established at Westminster today, but a twenty-first century equivalent could adopt a virtual rather than an actual form. At the very least, Harrington's Academy of Provosts, reminds us that the internet need not simply recreate forms of popular initiative, like petitioning, that were already in existence before the digital age. Rather, just as Harrington did in his Oceana, it might be worth inventing new forms more appropriate to our political circumstances that could be made possible by advances in technology.